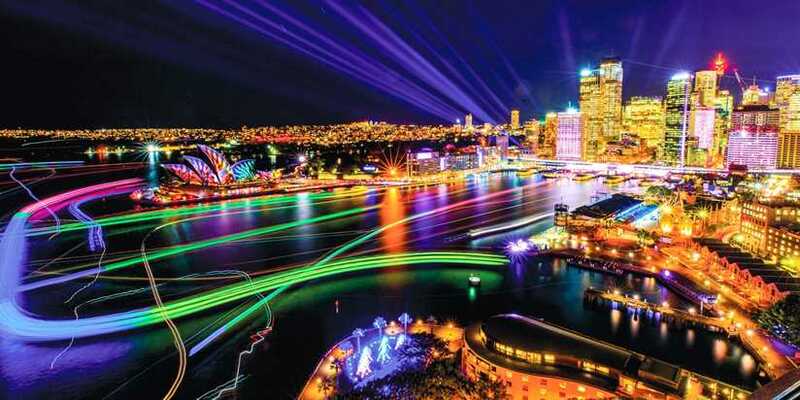 Vivid Sydney multi-award winning festival of light, music and ideas returns to Sydney to illuminate the city with mesmerising new light art and projections and deliver a fresh new program of music and ideas. From Friday 24 May to Saturday 15 June expire the brilliant light walk stretching 2kms along the harbour foreshore from The Rocks to the Sydney Opera House and Royal Botanic Gardens. Discover more breathtaking light art at Barangaroo and Darling Harbour, along with the city’s Kings Cross, Chatswood and Taronga Zoo. Vivid Music showcases some of the best Australian and International acts at iconic Sydney venues and intimate bars and clubs. To celebrate Vivid, 57 Hotel has launched there very own Vivid experience that will run over the 23 days festival of light, music and ideas. Accommodating couples, friends and families for 2 nights, all guests can be prepared to impress at the festival with eye-catching glow in the dark lipstick and glow sticks and glasses to wear when submerged into the mesmerising light art of Vivid. Get around town and back 57 with 2x $10 opal cards and then sleep in, with a midday late check out.